The Flooring World has reunited once again in Germany, in the International Fair known as Domotex Hannover. The event has been celebrated this year with some changes from the previous years. The fair has presented almost as a new one, increasing the interest as exhibitors as well as visitors. During the four days, from the 12th to 15th January, the affluence of public has been 45.000 people, coming from more than 100 countries and has count with a total of 1.615 exhibitors Company, following the information of the fair. 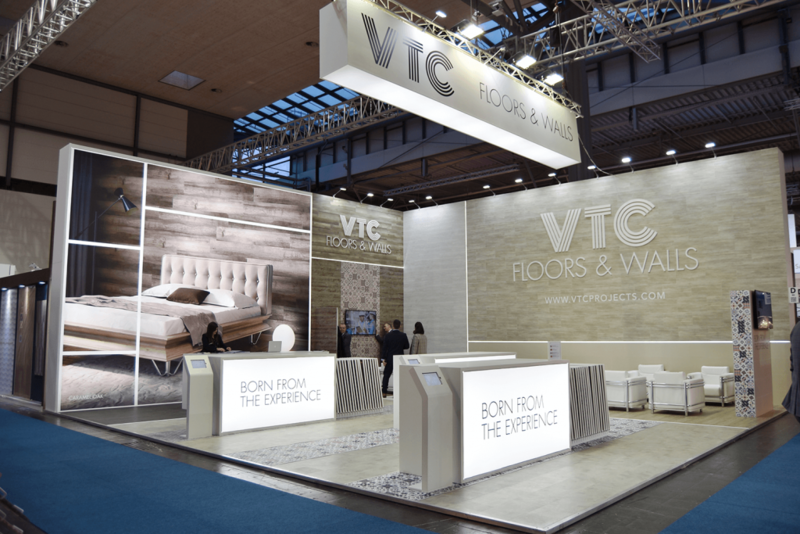 VTC was showing as a Company with our own fabric of floor and wall covering, with worldwide patents, unique products in its structure and designs. 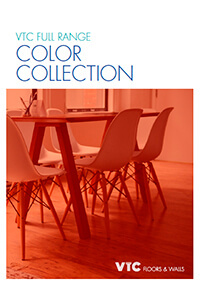 The huge range of colors has been presented are the result of a deep job of market investigation in order to know what the is the demand and be able to propose new tends and being acting ahead of what is coming. The R+D had worked in a long term with a lot of hard work to fabric those products able to give an answer to all of the flooring problems and lead to knowing in a fair as this one. Therefore, in Domotex Hannover has been offered traditional products as well as WPC and the new SPC, and has been exposed as an innovation of flooring the new XCore Click (winner of Innovation Domotex 2017), known as XCore Click SPC, which changes the vinyl sheet for SPC, adding to the product a dimension stability even better. This new product is able to incorporate different embosses, increasing the realism of the tile. Furthermore, the XCore Fix has been presented, including its Textile version (the top layer of Woven). Both products have huge advantages by the fact of having already incorporated a self-adhesive EVA foam, giving a greater ease and fast at the time of installation and even in the uninstalling of the product. Talking about Wall covering, we got the chance to present the new product: Wall Solution NG, which adds a new technology DDF (Double Density Foam), able to adapt to any surface and allows remove the planks without any mark in the contact surface. Hundreds of visitors have passed to the VTC stand who want to express our appreciation for the time and the interest in all of our products. The final balance is extremely positive and it is thanks to all of them.